Used Starter Heat Shield R50 R52 R53 2002-2006. Many times we've seen these lost or crushed when people install a new starter or exhaust manifold. This is a cost effective replacement for you. 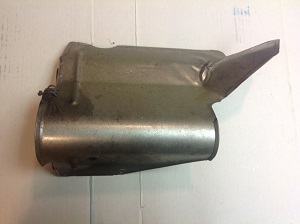 Sold as individual heat shield as seen in pic.